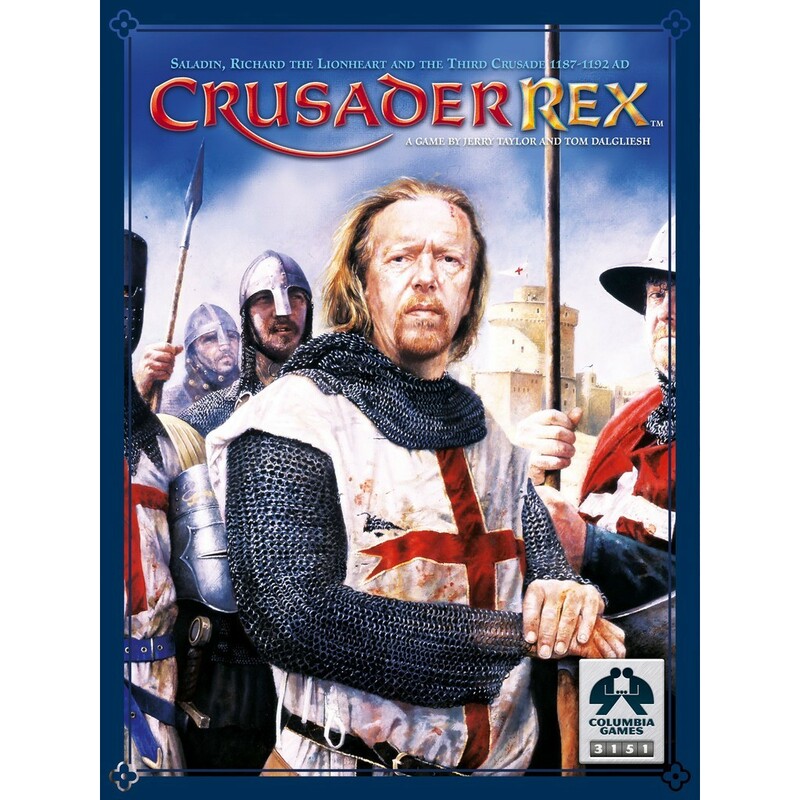 Crusader Rex is a block wargame of the 3rd Crusade. One player plays the Christian Franks, the other, the Muslim Saracens. The objective of the game is to control important Victory Cities such as Jerusalem, Acre, Damascus, and Antioch. The board depicts the Middle East from Antioch in the north to Egypt in the south, creating an engaging and elegant experience. You find yourself immersed in the theme and historical flavor that Crusader Rex has to offer. The Franks looking to take back the Holy Land, can they hold out until the powerful crusaders arrive, such historical figures as the ruthless Richard the Lionheart, Philip II of France, or even the 67 year old Frederick I red beard of Germania? As Saladin, who was the epitome of a chivalrous warrior, can you repeat history and retain the Holy Land for the Saracens? Crusader Rex plays a bit like other Columbia block war games but has many variants that give it its own historical flavor, such as siege warfare, knight charges, harrying, muster moves, freedom in set up, and more!